I have a confession to make. I can’t keep it quiet anymore. I need to free myself from this dark burden. I can turn to you, can’t I, loyal reader, for counsel and solace? This year, I haven’t grown runner beans. Ahhhhhh! That feels sooo good. You have no idea of the weight that’s just lifted from my shoulders. Yes, it’s true, and it’s a decision I made this time last year. Let’s make it clear, I have nothing against runner beans, I like runner beans. 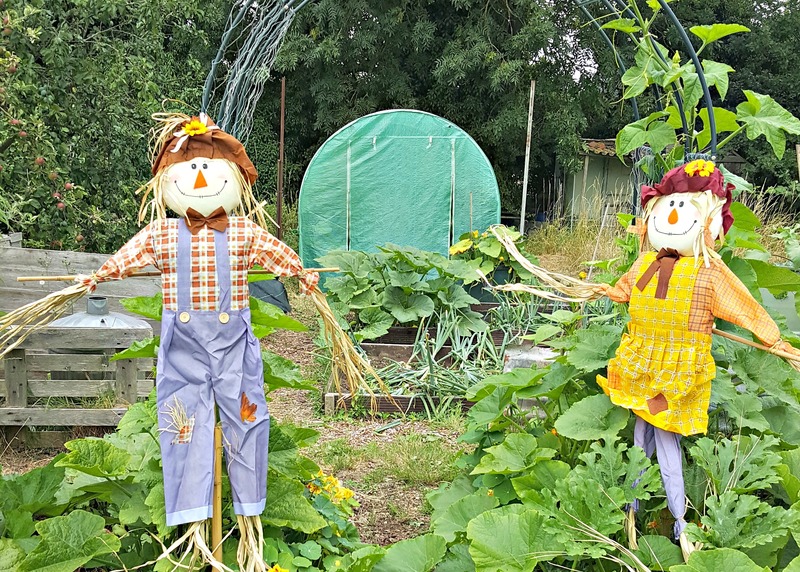 To most vegetable growers, they’re a vital element of the allotment tapestry. 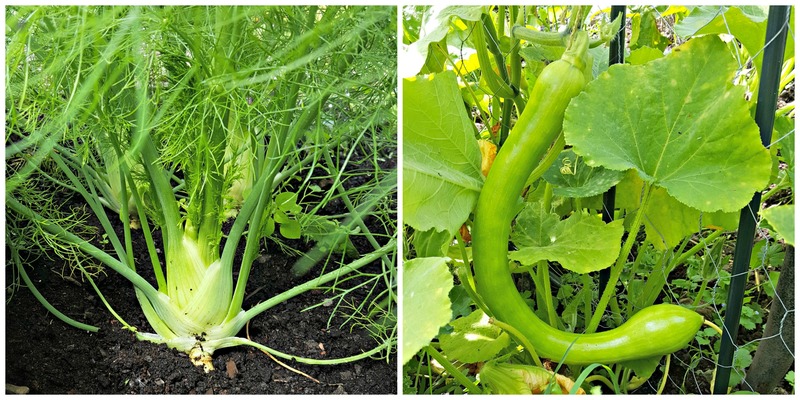 Across allotments right now, bamboo walls of greenery, filled with brightly-coloured flowers and swelling legumes, are swaying in the summer breeze. On my allotment, I carefully watch the old boys, as they stand proudly below their bean fortresses, like organic Gandalfs, wielding their spades and bellowing, ‘None shall pass! I get it, I applaud it, I just have no need for them this year. However, before you reach for the nearest Patty Pan and hurl it at me in a barrage of bean-fuelled rage, there is a logic to my legume madness. 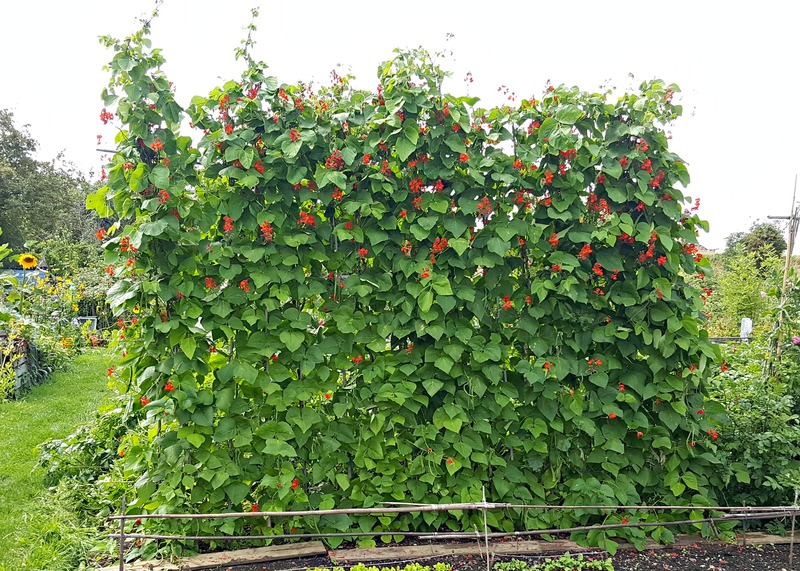 After last year’s bean revolution, where we were overrun by so many types of bean (the runner bean being the ring leader), I thought to myself, there has to be change – something has to go. I mean, how much bean does one man really need? ‘Twas a late autumn evening, when I took the opportunity to gather together the Agent household: Miss Sophie and Miss Daisy, into the study. Wearing my finest smoking jacket, holding an ageing cognac and smoking my pipe, I looked soulfully into the burning fire before announcing my decision. After screams of joy from the women of the household (well, a scream and a meow), Agent Soph leapt into the air before clasping me tightly. In that moment, no words were needed. No longer would she have to deal with the annual runner bean glut she has been forced to endure since 2013, frantically spending the summer months chopping, boiling, blanching and stuffing bags of them in the freezer. Summer days would once again be hers. As a gardener, surely you need to be open to trying new things? Not only will your gardening skills improve, but your palate will broaden. Right now, our allotment is brimming with life, the regular guests are in residence, however, there are new neighbours too. 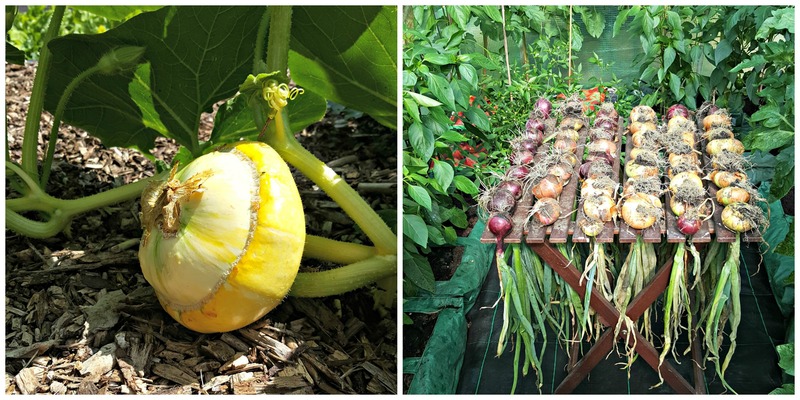 On the squash front, we have several new varieties growing: Tromboncino, Sweet Dumpling, Patty Pan and Turk’s Turban. Other new guests include, Ratte potato, bulb fennel, purple peas and Oxheart Carrot. 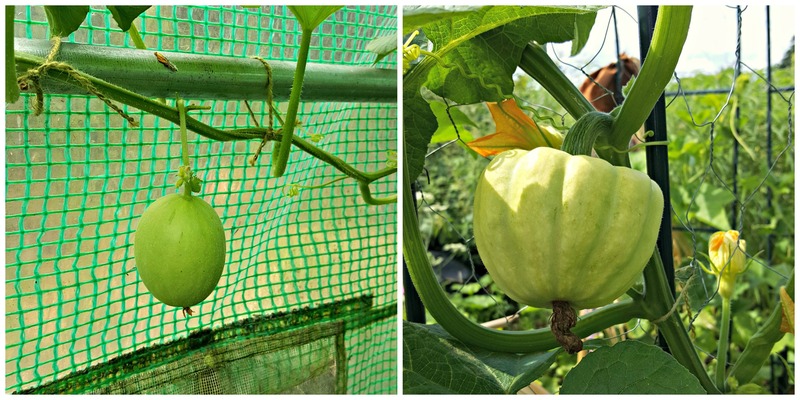 Whilst in the polytunnel, amongst the tomatoes, chillies, peppers and drying onions, I’m growing melon for the first time. To my utter delight, in the last few days three fruits have emerged from the climbing foliage. If you didn’t know by now, I love gardening. I’m obsessed. But I don’t want to get comfortable. I like to be challenged, I want to strive to be a better gardener. And here’s the sweet spot: there’s always something new to learn in gardening. Well, I guess I’m one of the Old Guys – I’ve got 12 Runner Bean plants growing. I just love them too much to stop, but if I ever have any pods spare I know several people who would take them off my hands. Funnily enough, I decided this year to grow ONLY Runners. I normally have some Borlotti, Climbing French Beans (usually “Cobra”), or something else like “Cherokee Trail of Tears”, but in my limited space I could never grow enough of each to be worthwhile. Hey Mark, I’m liking the sound of the Cherokee Trail of Tears, they’re black beans aren’t they? Would be keen to try and grow those next year. Be proud of those runner beans, between you and me, I’ll be growing them again next year.